We realize that there are a lot of parents out there who have questions about the new school and about how the 2009/2010 year will work. While we do not represent the Calgary Board of Education, we do see this blog as an effective way to relay information from the CBE to parents. To that end, we have created this Questions & Answers page. This section will be used to answer questions parents have about the school and the parent association. If you have a specific question you'd like answered, click on the link on the home page to email us. We will do our best to have your questions answered and posted on this page. Please note that we are not affiliated with or representative of the CBE; rather, we are offering this service as a parent association to keep McKenzie Towne parents as informed as possible. Where will my child go in the fall until the new school opens? All Kindergarten and those Grade 1 students who do not have older siblings will be bussed to Acadia Elementary. Students in Grade 1 with an older sibling in Grades 2-4 will be bussed to Haultain Memorial in Queensland. All Grade 2-4 students will also attend Haultain. Will there be transportation to the Acadia/Haultain schools for our children? There will be bus service provided to both schools. Families living within the walk-zone of the McKenzie Towne School will not be charged busing fees for the period until we are in our building Any families in the bus-zone as indicated in the letter April 20th Kindergarten to Grade 4 Regular Program School Designation for Student Residing in McKenzie Towne will be charged the $165/student busing fee to a maximum of $330/family. Will the students be bussed direct to the schools, or will one bus take all students? If we have a child at Acadia and a child at Haultain, will there be different bus pick-up times? The busing schedules are dictated by the CBE transportation department. Mrs. Sarginson to follow up. When will the busing schedules/stops be available? As with all schools, the schedules are posted on the Calgary Board of Education website. They guarantee schedules will be up by August 24th. . We will aim at having a link to the site once it becomes available. What is the school start date? The start date for the 2009/2010 school year will be August 27th, 2009. What will the school hours be as both Haultain and Acadia currently run on different hours? McKenzie Towne School will have its own set hours that will carry forward once we are in our own building. These hours have not been determined. Information notices will be sent out with further information when it becomes available or on the Parent Association website. What can the parents do to help get the school ready to open on time? Once we are able to get into the school to start setting it up, there may be opportunities for work-bees to get cabinets and shelves together, setting up classrooms, prepping gym equipment (IE. pumping up basketballs), helping with the playground set-up when it is ready to be installed. Will there be furniture in the classrooms when we start in the new facility? Mrs. Sarginson is currently pricing out furniture, library books, working with surrounding schools to see what their surpluses may be, or to purchase used furniture. Will the students have access to computers/smart boards in the new school? Mrs. Sarginson has said that we will have as much of the updated technologies as possible including smart boards, computers, possibly cameras for classroom use, etc. If we are in different schools, will we have to attend 2 different Winter concerts? 1 for each school? No planning has been done at this time. All attempts will be to have something combined. If there are tradesman on-site to complete projects once we are operational in the new school, will there be guaranteed security for our children? Any tradesperson working on a school site will wear a CBE security nametag and are fully certified/bonded. Any outside contractors will report to the school caretaker while on the premises. At this time, the school is projected to be completed 3 months prior to occupation, so most projects should be completed. Do you foresee any shortfalls in your budget to getting equipment for the school? Mrs. Sarginson is working on a budget to secure enough furniture, etc. for the school. Where available, she may look at going 2nd hand on some furniture to ensure that there is available funds for all aspects of the school, including a 1:6 ratio for computers, cameras etc. What is the official name for our new school? We are pleased to inform you that the Board of Trustees unanimously approved naming the school in our community McKenzie Towne School. will children from New Brighton - who currently attend Acadia School be eligible to attend the new school in Mckz Towne? I just checked the CBE site and New Brighton children will remain at Acadia school for the 2009-2010 school year. I am just wondering how I go about registering my children at the school? I have one child who will be starting kindergarten in September and another the following September. Is the registration ongoing, or is it in the future? Mrs. Sarginson, the principal and Mrs. Willmott, the Administrative Asst. are currently working out of Haultain Memorial school, so you can likley go to that school to register your child for kindergarten next year. Your child will attend Acadia School in September, and then move to McKenzie Towne School when it opens in the new year. Registration for kindergarten is ongoing. My son will be turning 4 years this coming october and hence will be eligible for kindergarten. I wonder whether I can visit haultain memorial to register my son for kindergarten?? To clarify, kindergarten students will attend Acadia school until the McKenzie Towne School opens. However, I have just confirmed with Mrs. Wilmott that since she and Mrs. Sarginson are working out of Haultain currently, it is easiest to go there to register your son for kindergarten. When will teacher staffing be taking place for McKenzie Towne School? Do you have information about dayhomes that provide after-school care in the area for when the new school opens? We are referring parents and dayhome operators to the local Childcare Registry for this information. The telephone number is listed on the left side of our home page. The school will also likely have a board or some other type of list available when it opens. Regarding the inquiries about parking and teacher staffing, your questions have not been forgotten! We are working on getting the answers and will post as soon as we have them. I have received confirmation that all teaching positions have now been filled for McKenzie Towne School. It is hoped that a list of the teachers and their photos will be posted on the school's website (or this one) in the near future. We are just working on confirming this information with the principal regarding supplies, etc. Students will find out their teachers on the first day of class. I will post further as soon as I receive confirmation. I just had confirmation from Mrs. Sarginson that packages will be sent out next week. Please watch for it in your mail. what is the exact address of the new school? The address of the school as posted on its website is 679 Prestwick Circle SE, T2Z 0V3. does anyone know anything about an open house on aug 24th 2009 I herd that there is one today but not sure what time can anyone help me out? Is there a bussing update? I am not aware of an open house, but staff are in the schools today if there is some specific question you need answered. With respect to bussing, I believe information regarding bus routes and times is now available at Acadia and Haultain. I was able to get the afternoon kindergarten schedule at Haultain late this morning. The bussing schedules for both Acadia and Haultain are posted on the doors of the McKenzie Towne School. The destination school is listed on the bottom of each map. I believe Acadia school is on the main doors and Haultain is to the right of the doors. There is a previous comment about setting up the Playground when ready, what is the eta of the playground? Our goal is to build the playground in September 2010. To help us reach this goal, please consider joining the Playground Committee or the Fundraising Committee - your efforts would be greatly appreciated! Simply send an email to volunteer@mtsparents.com. How many students do McKenzie Towne School have enrolled? Based on the leadership report provided by Mrs. Sarginson and Mr. Murphy at the school council establishment meeting, enrollment is at 289 with 74 students in kindergarten and 215 in grades 1-4. What type of fence is being put up at the school? I am very concerned about the fact that the palyground backs onto the Walmart loading area, those are very large trucks and I'm not sure that kids would not climb a chain link fence. As well a solid fence of some sort would provide greater protection for the kids from strangers who could be hanging around as well as from the transport trucks. I have raised the question about fencing with the school. It is our understanding that the soccer fields that back onto the Walmart area are not part of the school grounds, although this area will likely be used during recess, lunch and for phys ed. Having said that, safety is of primary importance to everyone. I have been assured that there will be appropriate supervision for the children, in the morning, at recess and during lunchtime. During lunch there will be lunchroom supervisors to supervise the children until the teachers go out 15 minutes before the bell rings. There are walkie talkies for the lunchroom supervisors so they will have effective communication between them. At the end of the day, there is a bussing assistant and one of the admin staff goes out to help out. Mrs. Sarginson advises that children rarely leave the playground area. Usually, a supervisor will see them and ask the child to return to the playground and speak with them about safety. She also believes it is important to contact the parent so they too, can discuss safety with their child if this were to happen. I must say that is not the answer I though I would be getting. I can not belive that there will be no fence between the kids and the traffic or strangers at the back end of the school. I was very surprised that the elementary school was being put in such a high traffic high density area to begin with and now to find that the kids and anyone can roam at large in that back area makes it that much worse. Kids being kids they will wander with no fence to contain them and as I stated the delivery trucks that drive right there would have little view of the children due to the size of there trucks and the hight of children. As well there is still also the concern that any person could potentially walk or drive off with a child and it would take until class resumed to notice they are missing. I think this is a great disservice to our smallest school children and a request to the developer ( Carma ) of the City of Calgary should be made to have a solid fence put up. I have aked the principal to forward the question about a fence to the building supervisor and will post when I hear a response. Our next school council meeting is on Oct. 26th. These meetings are an excellent opportunity to have questions or concerns raised. I can bring this up at the meeting during my key communicator update, but would strongly encourage you to attend to voice your concerns. If you are interested in speaking about this, you will need to email chair@mtsparents.com to be added to the agenda for the meeting. I hope this is helpful to you. Does anybody know if there is a Kindergarten spot left at McKenzie Towne School. We bought a house in New Brighton and would like to register my kid. He is currently at Somerset school. According to the CBE website, Acadia School is the designated school for children who live in New Brighton. McKenzie Towne School is currently the designated school for children who live in Prestwick, Inverness and Elgin in McKenzie Towne. 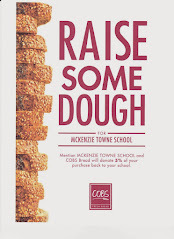 You could call McKenzie Towne School at 777-6185 to confirm. Thank you for continuing to push about the fence. I can not make it to the meeting due to a prior meeting, but I do very much appriciate that you will bring it up at the meeting. I will try to make it to the next meeting as I really do want to make sure there is something put up to protect the kids from the traffic and the strangers that would have access to the field and playground. Being thata we are putting our most vulnerable group into that area I feel it is in everyones best interest to make sure we have protected them to the best of our ability. Again thank you for keeping this going. School yards are typically not fenced. Schools and parking lots are located on the site to provide a buffer between the busy streets and students. The Alberta government through Alberta Infrastructure does not provide funding to install fencing around schools and there is no funding to maintain or repair fencing. Other considerations include climbing hazards created by fences, garbage and debris that collects against fences, additional expense to trim grass growing against fences, and the limits a fence places in terms of a shared use of the school site. Through the Joint Use Agreement, the CBE can use the soccer and baseball fields during the day and the City can use the school site after hours. Annette encourages anyone who has questions about this to call her at the school and she will do her best to answer them. It was also suggested at the meeting that since the fields behind the school are city owned land, perhaps a next step for concerned parents would be to approach Carma or the City of Calgary. Mckenzie Lake Elementary school and even the Catholoic school here in Mckenzie Towne. I understand there are parking lots etc. but they are placed at the side of the school and the front of the school is on a residential street and will have proper signage to slow traffic, The issue here is the back side of the school at the back of the Walmart loading area. I find it amazing that there is so little concern about the fact that the kids could walk off the grounds and onto a busy side road with heavy truck traffic as well as the pedestrian foot traffic in that area as well. With spending cuts we know that supervison of the area will be the best it can be but 2 or 3 people will not be able to watch all the kids all the time. I will be in touch with Carma and the city I think we are being very remiss in the need of a proper fench to keep the children safe from traffic and Preditors. Update on the fence issue. I have been in touch with Carma and was informed that it was not part of there developement and they have suggested I contact the City. I have done so and am waiting for a call back from the parks department. In the end I belive we will end up getting a fence to help keep the children safe. I am still disappointed by the comment the CBE does not do fences as I have now driven arond and seen numerous schools with fences around the yards. I will let you know waht happens with the City when I have more information. It seems that the City of Calgary Roads Department is responable to put up the fence between the field behind the school and the roadway. I am waiting for a call to see when they will be putting it in, it is on the work board but I am not sure if it has been started. I have my fingers crossed it will be ready for the kids when they start back on the 7th of January. Hi all I have talked to the city of Calgary roads department and have been informed that it is not the cities job to put up a fence. The commom area behind the school yard does not require a fence as per them. They have told me it is the CBE's issue and if we want a fence we must get them to do it. So now I need Everyone to talk to any parents that have kids attending this school to talk to each other and we must act as a group to get something done. I can not do this alone as the larger the group the more attention will be paid to this issue. I'm not sure what to do next so any imput and help would be appreciated. That is interesting news from the city. If I'm understanding correctly, the city is saying that in their view there is no need for a fence on city property at the back of the sports fields. I'm not sure that the school property itself is the location people want the fence (I was under the impression that the interest for the fence is at that back part behind Walmart, i.e. city land). I would suggest attending the next council/parent association meeting in January to see if there is parent interest to move forward with this issue. Please contact chair@mtsparents.com if you'd like to be added to the agenda. Has a call been placed to Riv McIvor about this? Hi Tiffany, Yes as per the City they feel the 2 foot high wood posts and wire is all that is required for stopping traffic from backing onto the public field and nothing more is needed. I don't agree and feel there is still an issue as far as securing the children. Having talked with a few people who have kids that will be going this year and starting next year at the school none were even aware that there was no fence up already. Now due to the time of year I am aware that nothing can be done now till the ground thaws put this should have been put out there along with the playground issue much sooner than it has been. I have suggested to the parents I have spoken with that they mention it to anyone eles they know and that we can band togeather to get this fixed. I am thinking of trying to talk to someone at our towne hall to see if they can be of any help and I don't hold muckh hope for Mr. McIvor on this issue as I did not get a responce from an email I sent to him questioning the choice of site for the elemntary school. I still don't get why this school was not built on the Elgin site in the middle of the community instead of over backing the industrial area. Anyway if we all work togeather we can make something happen. Lisa, I have been in contact with the school and witnessed how they handle supervision in and around the school yard and I feel confident that they have let the children know the limits and trust in our children that they respect these limits set. I do not discourage you in continuing to pursue the cause but be assured according to conversations I have had with school that they respect the possible risk that may be associated with the commercial zone and also other possible perils that may exist at this or any other school and work with our children ensure their safety on and near the school grounds. I have greater concern over parents not setting an example in road safety by dropping off there children and j-walking across the street to get from their car, double parking, parking in bus zones in front of the school to name a few possibly dangerous situations.